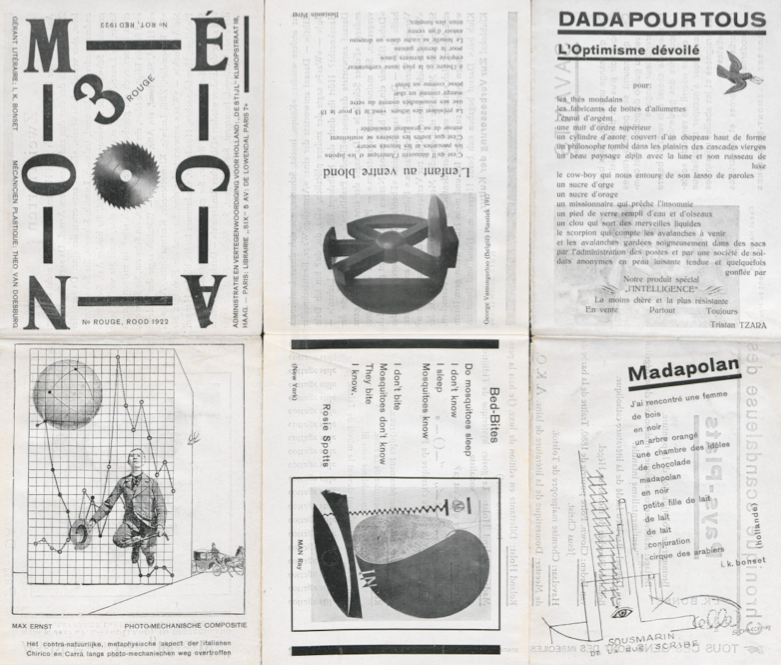 In searching for a treasure trove of publications springing from the avant-garde, deliberately irrational, early 20th-century European "anti-art" art movement known as Dada, where would you first look? Many corners of the world's historic cultural capitals may come right to mind, but might we suggest the University of Iowa? 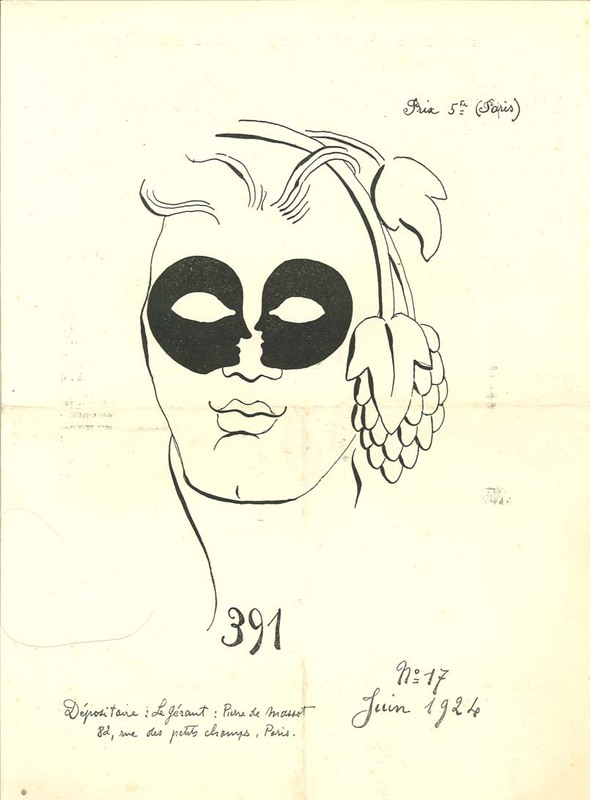 Even if you don't feel like traveling to the middle of the United States to plunge into an archive of highly purposeful nonsense, you can view their impressive collection of Dada periodicals (36 in total), books, leaflets, and ephemera online. The history of the archive, written by Timothy Shipe, also addresses an important question: "Why Iowa? One answer lies in a clear affinity between the Dada movement and this University. The internationalist, multilingual, multimedia nature of Dada makes Iowa, with its International Writers' Program, its Writers' Workshop, its Center for Global Studies, its Translation Workshop and Center, its dynamic programs in music, dance, art, theater, film, literature, and languages, an especially appropriate place to house the Dada Archive. A brief glance at the history of Dada will make this affinity clear." You can learn more about that history from the Dada material we've previously featured here on Open Culture: the video series The ABCs of Dada which explains the movement (or at least explains it as well as anyone can hope to); the material we gathered in celebration of its hundredth anniversary last year; and three essential Dadaist films by Hans Richter, Man Ray, and Marcel Duchamp. That will put into clearer context the 36 journals you can peruse in the University of Iowa's Digital Dada Archive, some of which put out many issues, some of which stopped after the first, and all of which offer a glimpse of an artistic spirit, scattered across several different countries, which flared up briefly but brightly with anarchic energy, destructive creativity, a forward-looking aesthetic sense, and no small amount of humor. It is interesting to see my name used for business, don’t worry I am not claiming royalty, if I have any. Just interested to know what made you use the name Dada. Dada or Dadaism was a form of artistic anarchy born out of disgust for the social, political and cultural values of the time. 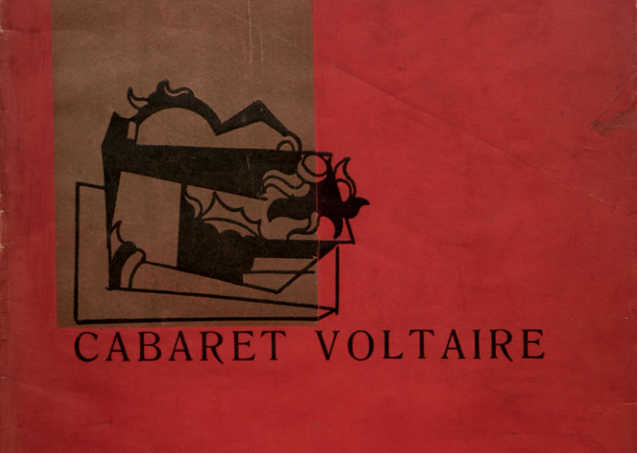 It embraced elements of art, music, poetry, theatre, dance and politics. 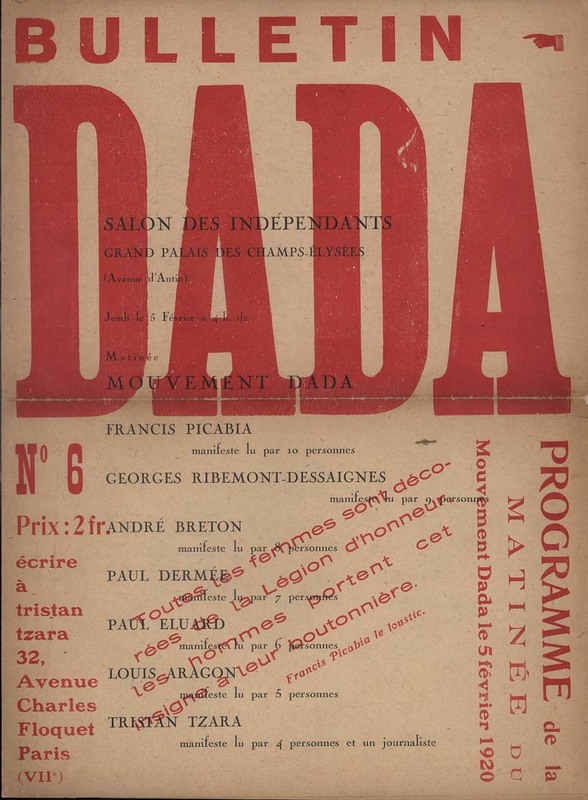 Dada was not so much a style of art like Cubism or Fauvism; it was more a protest movement with an anti-establishment manifesto. its sad that you do not know about The Dadaists !!! its History!! Ignorance definitely is not bliss ! !